Kansas City BBQ Society - BBQ Competition | Food NI - Our Food So Good! 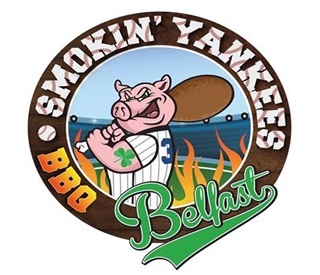 Food NI are delighted to announce that Ireland’s 1st International KCBS BBQ Competition is being held at Dalriada Festival in Glenarm Estate on 13th and 14th July 2019. Entries for this are now open and the cost per team is £100. This will include – 3m x3m space, electricity and water supply. Meat and fish will be provided for these rounds. The KCBS competition will take place on 14th July. There will be KCBS BBQ courses available- Judging, competition and backyard, depending on numbers. For further information or to enter please send your details to christine@nigoodfood.com, payment details will be provided at this stage. For more information about Dalriada Festival, visit their Facebook page. Alternatively contact Michael Duffy via Twitter @Belfastbbq or Instagram – @Smokinyankeesbelfast.